Railroad tracks have been a constant presence in the ever-changing American landscape since the 1800s. Whether they are carrying cars of people and goods, or have fallen into disrepair, the site of train tracks is familiar site to all. For photographer John Michael Sanderson, the railroad and its surrounding landscape is an opportunity to to capture the beauty of these environments from a unique perspective. Sanderson began photographing railroads over a decade ago, but it wasn't until 2010 that he began an ardent pursuit of landscapes intersected by track. Focusing mostly on the Northeast and New York region, he has produced dozens of striking photos with large-format 4x5 and 8x10 film cameras. This documentary interest is especially important to me in the industrial corridors of the Northeast and Midwest U.S., where the residue of shifting economic centers from cities to suburbs is so prevalent. Exploring the railroad landscape from this perspective is fascinating due to the proximity of railway lines to these sectors. The photos succeed in portraying beauty and loss at the same time. 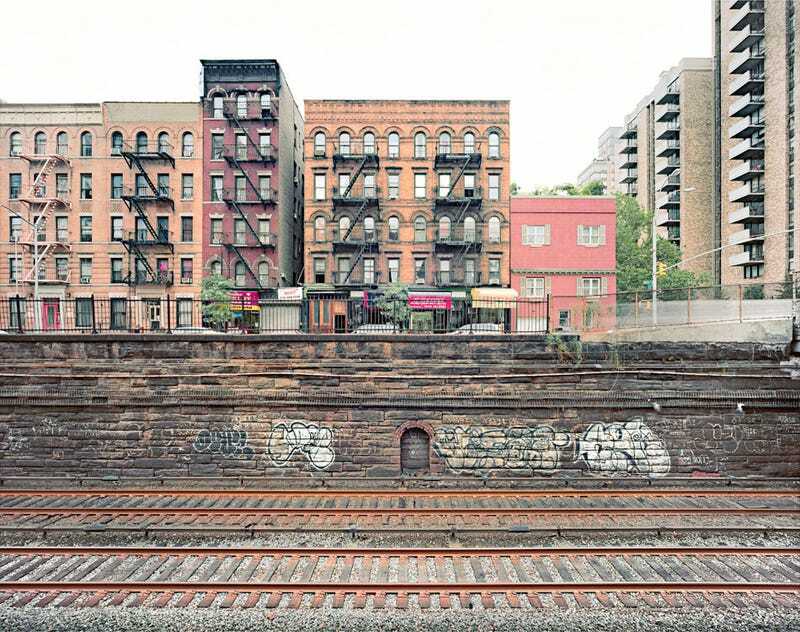 For me, the sight of railroad tracks stretching across an empty field or running beside old buildings isn't the symbol of progress that it once was. Instead it's a reminder of decay and the unfulfilled promise of technology. Railroads still play an important function in America, but their grandeur has diminished, and their future is at a crossroads. Sanderson's photos are a reminder of the past told in gorgeously composed pictures of the present. You can see more on his website, or if you are in the New York area, his photos are on display at the New York Transit Museum through this coming summer.